Decline to watch the Super Bowl in February 2015. Make plans to be elsewhere than in front of the TV on NFL game days next football season. If you really enjoy football, watch NCAA games instead. They're better anyway. No further need to use products that are advertised during NFL football. They don't need your money. See how long it will take for wealthy pro football sponsors to realize that the general public is their only source of revenue. 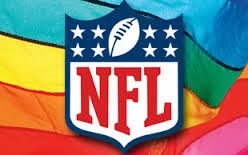 I recognize that the owners of the NFL have every right to express their opinion, as everyone does. But threatening to take the venue away from Arizona just amounts to a rich guys club bullying for political influence. The only way to make NFL owners understand public sentiment is for the majority of decent people to stand up for what is right. It seemed to work well enough with the Duck Dynasty controversy. I have no problem if Governor Brewer weighs the options and decides to veto. But the NFL has no right to force the decision about legislative merit.